The definitive collection of Lee Moses' legendary non-album tracks available together for the first time. Contains three previously unreleased songs, plus the Southern soul classic Bad Girl (both versions). How Much Longer Must I Wait? 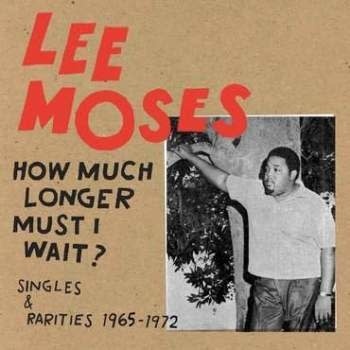 Singles and Rarities 1965-1972 collects all of Lee Moses’ non-album singles and B-sides, plus three never-released tracks together for the first time ever. Most of the material here pre-dates 1971’s Time and Place, reflecting his initial bid for stardom via a series of now-legendary 45s recorded with Atlanta producer Johnny Brantley. As for the unreleased recordings – much like the man himself, little is known about them. What remains is an oeuvre that has become synonymous with raw and emotionally charged Southern soul. Essential listening for anyone with a heart. All tracks are remastered.